Thousands of years ago, the mighty Roman Empire stood as the hegemon of global industry, trade and military power. At its peak, Rome expanded her territories and trade routes at a rate that far surpassed her competition. 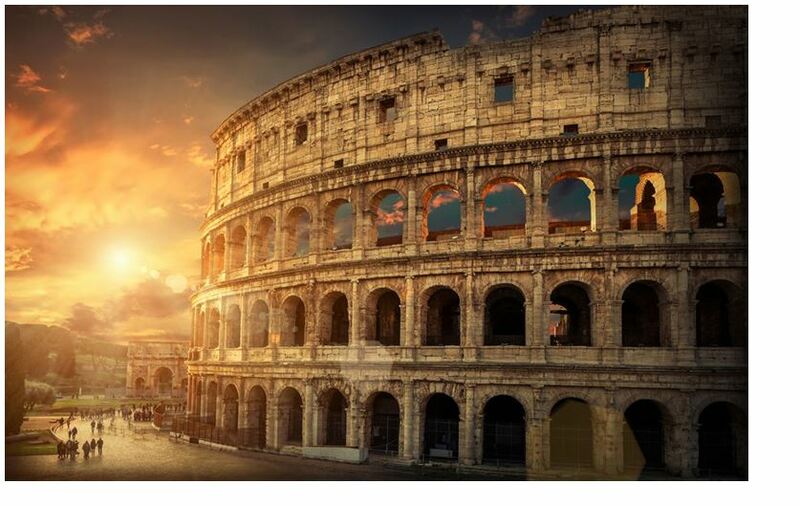 Even with such a strong focus on product production and expansion, Rome’s infrastructure also flourished. Her legendary roads, sophisticated culture and alluring architecture gave the empire an unheard of aura of prestige. Rome succeeded because she fortified herself from the inside out – she looked beyond her core, macro objectives to correct the micro problems within her society. These issues, if left unheeded, would have festered and spread, becoming bigger threats to her stability. 1. Failure to address potential workplace litigation. According to the Equal Employment Opportunity Commission (EEOC), the two most common forms of prejudice in small businesses today are racial and sexual discrimination. Any type of harassment causes a crack in your armor, leaving you susceptible to a wrongful termination lawsuit when the victim leaves his or her job. Legal costs alone for these lawsuits often run up to $85,000, with the plaintiffs receiving an average judgment of $500,000. By training your employees to avoid intolerance, and by publicly disciplining those who do not comply, you can protect your small business’s capital, all the while fostering a productive and cooperative work environment. 2. Confusion regarding compliance regulations. Small businesses often experience difficulties following federal compliance regulations. With overhead costs spread over a smaller workforce, the small business owner needs to be on top of any new regulations and changing laws. Between COBRA, HIPAA, and the hodgepodge of other government standards, poor management of personnel-related tasks can have expensive consequences. 3. Lack of quality HR guidance. In a small company, the human resources department typically consists of a single (often overworked) individual who is responsible for HR tasks ranging from compensation and benefits to labor relations and HRIS training. Such an immense range of tasks leaves room for error and oversight. Even a small mistake can open a small business up to the wrath of the IRS and/or DOL. Prudent and vigilant HR guidance must be provided by the small business owner, along with proper training and direction. 4. Faulty paperwork administration. New hires bring in a mountain of paperwork. Errors often occur during the transition of the hard copies onto computer hard drives. When an employee enrolls in benefits, HR must make the necessary payroll adjustments. If an employee changes his or her status, HR must adjust these adjustments. Employees do not usually go straight to HR, but rather the employees’ departments inform HR of the changes. Needless to say, this confusion can cause lead to misinformation. Each time that information is transferred from one HR process to another, there is a chance of error. With so many different employees, the paperwork stacks up and the possibility of mistakes being made multiplies. Inaccuracies within the system do not only hold up HR, they damage office morale. Employee benefits can range anywhere from five to 10 percent of an individual’s salary, so improper deduction will lead to complaints. The most important aspect of succeeding in the small business world is keeping your employees happy. This means paying special attention to the seemingly meaningless (although admittedly monotonous) world of paperwork. 5. Failure to coordinate HR processes. The HR department works like an assembly line. The employee does his or her job and is compensated according to the company’s payroll. Payroll data is transferred from recordkeeping to HR, which then adjusts the employee’s paycheck with the proper deductions. When there is an inconsistency in this system, the employee notices and valuable time is wasted identifying and implementing a correction. In organizations employing outside vendors to keep track of the recordkeeping, the small business owner must understand the technicalities of the different systems in order to coordinate cooperation. This often includes integrating payroll software to allow for an efficient flow of information. This may seem like a lot to worry about. Navigating the unforgiving world of HR can be a daunting task. But you have the option to let a PEO reduce your liability. This will also allow you to go back to your job – managing your growing business.